Forty-eight-year-old Sujata Gadgil (name changed) had no idea she was HIV-infected and her two children had contracted the deadly virus in the womb.“Way back in 1999, there were no interventions or tests during pregnancy to prevent infection from mother to child. We are paying for our ignorance because our children are suffering,” said Gadgil. 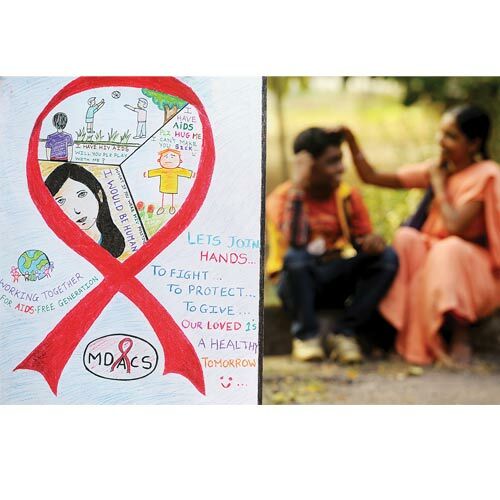 Gadgil and her 13-year-old girl and 17-year-old boy survive on anti-retroviral therapy (ART). But there are many babies who aren’t as lucky to have made it through the infection to live a near-normal life. However, no stone is being left unturned to ensure that no more babies are born with the dreaded virus. With such a humongous task ahead, a new multi-drug regimen is being adopted by eight states, including Maharashtra, on the lines of the World Health Organization (WHO) recommendation. Of the 9,278 live births to HIV-positive mothers between April 2010 and July 2013, 957 were detected to be HIV-positive and 138 died. “Not all children born to HIV-infected mothers are positive. Less than five per cent babies contract life-long infection. We aim to reduce this number further by introducing another drug treatment regimen from 2013 onwards,” said Dr Asha Hegde, joint director, Prevention of Parent to Child Transmission, Maharashtra State AIDS Control Society. Currently, only a single dose of Nevirapine is administered to the baby after birth. The new multi-drug regimen will include multiple interventions. “Now, irrespective of the CD4 cell count or the immunity levels, a pregnant woman will be started on a three-drug ART regimen for suppressing the infection levels better, as mandated by the WHO, right from 14 weeks of pregnancy till the time she delivers and starts breastfeeding. Also, instead of one dose of Nevirapine to the baby within 72 hours of birth, the baby will be given the drug for the first six weeks after being born,” Hegde said. But the bigger challenge, she added, is the inability to screen all pregnant mothers in state. Of the 14 lakh estimated pregnant women in 2012-13, up to 12,38,342 were tested. “We have to fill the gaps, test all mothers and discover hidden cases in the society. We are linking up with private hospitals to ensure better reporting and coverage so that all mothers can be brought into the fold and we achieve the target of ‘zero new infections’ in children by 2015,” she said.